The White House has obviously decided to ramp up the pressure militarily on the Russian Federation as Secretary of State Mike Pompeo, and Defense Secretary Jim Mattis, work to strengthen alliances and military cooperation in Moscow’s ‘near abroad’. 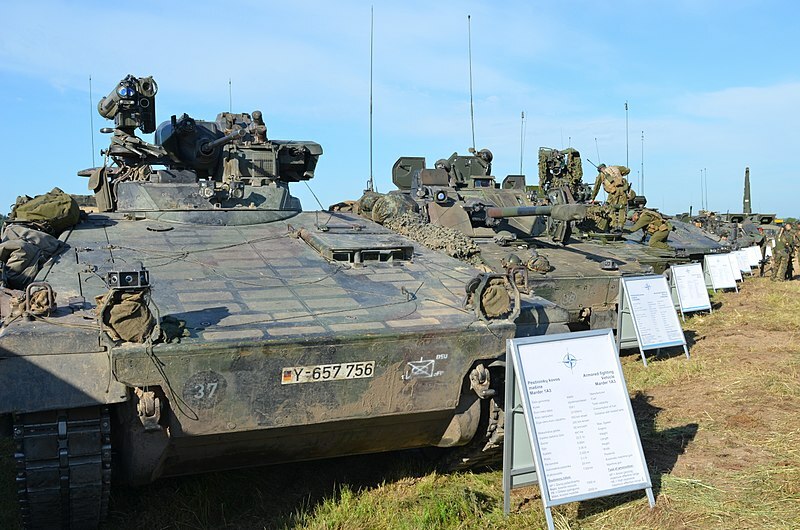 The massive Saber Strike exercise is being conducted currently in Poland and the Baltics to show the alliance’s resolve in confronting any perceived Russian ‘aggression’ in the area, which is heavily militarized by Russia in Kaliningrad and Western Russia. Washington is also hardening its support for the Ukrainian state in its conflict with pro-Russian separatists in the Donbass region of East Ukraine. 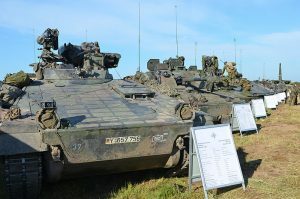 The June 3-15 Saber Strike maneuvers come as Poland has indicated it is considering a proposal to host a permanent contingent of U.S. troops in the way that Germany and Italy have done since World War II, reported RFERL. Concern over large-scale Russian exercises in Belarus and the deployment of nuclear-capable missiles in Kaliningrad have increased tensions in the region. As recently-sold Javeline anti-tank missiles arrive in Ukraine in an attempt to counter Russian armor in Donbass, more weapons sales and defense cooperation with Kyiv seem to be on the horizon. The office of the president of Ukraine posted this on its website yesterday: Petro Poroshenko congratulated Mike Pompeo on appointment as U.S. Secretary of State. The interlocutors discussed enhancement of cooperation in security and defense sector. The President thanked the American side for providing Ukraine with anti-tank Javelin systems. They also discussed security challenges posed by implementation of Nord Stream 2 project. Petro Poroshenko and Mike Pompeo coordinated positions in the context of announced conclusions on downing of MH17 flight and highlighted the importance to keep sanctions policy vis-à-vis Russia. Western governments also recently agreed to loan Ukraine another $1 billion even though anti-corruption reforms required by the IMF for further aid have not been met by Kyiv, although the Poroshenko government says they are moving in the direction of reform. The new loans from EU will cover all of Ukraine’s financial needs over a period of two-and-a-half years, reads an official statement published on the European Council website published on May 29. Although the decision still needs to be approved by the European Parliament and European Council, both will be called on to adopt the decision without further discussion. “We can definitely say that only formalities are left. Ukraine will sure get the financial support from EU. It is a matter of a couple of weeks,” an EU official told the Kyiv Post on May 29, reported AFP.